DW Windows have been installing double glazed products throughout the West Midlands for over 10 years. 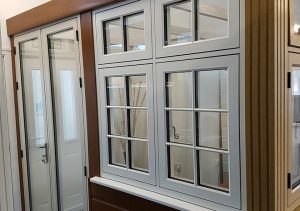 From humble beginnings, working out of company owner Dave Walter’s home in 2006, to employing over 30 people; DW Window’s success has been due to a combination of hard work and excellent customer service. 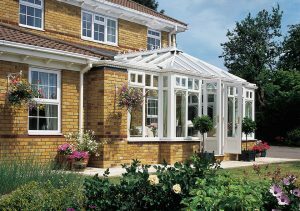 From uPVC window upgrades to large conservatory and orangery installations, we’re sure to have worked on a property near you. With our main offices located in Coseley, and show rooms in both Coseley and Sedgley, we are conveniently situated to serve Birmingham, Wolverhampton and the surrounding areas. With a vast wealth of local knowledge, you can be sure that we have the best solution for your property upgrade. Whether you live in the centre of Birmingham or a large town like Dudley or Walsall, our extensive product range has something to suit all styles of property. From the large Victorian terraced properties in the towns and villages of the West Midlands, to the more modern developments not far from the NEC, our experts have the answers to all your home improvement plans. With easy access to the Midlands motorway system we’re ideally placed to serve all our customers, from the M6 Toll in the North to the M42 in the South. Our product range is so extensive you’ll be spoiled for choice when you choose DW Windows for your home improvement project. From stylish sliding sash windows to the latest in composite door technology, we’re sure to have just what your property needs. Browse our gallery of installations to gain inspiration for your home improvement project. At DW Windows no job is too big or too small. From full window upgrade and conservatory installation to simple front door replacement, our attention to detail is always of the highest quality. If you live in the West Midlands and you’re interested in finding out more about any of our products, then get in touch. Our team of industry specialists are always happy to answer any of your questions.